At Delphi Diamonds we specialise in insurance claims for loss or theft. We understand that this can be a difficult time for you, so we provide a service that takes away any pain or confusion. We have an Insurance Manager on hand to help you with every step of your insurance, we will even send all your paperwork direct to the insurance company for you. Contact us on +61 2 9283 2213 for assistance with your insurance claim. 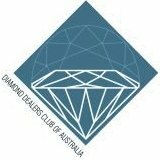 Delphi Diamonds is a Founding Member of Diamond Dealers Club of Australia.